An exclusive 15-person skybox to watch the Cubs vs. San Francisco Giants on Saturday, August 8 (includes food and beverages). Win a trip to New York, including a private tour of the Good Morning America studio, meet-and-greet with Robin Roberts and George Stephanopoulos, an in-studio viewing, plus many more exciting NYC offerings. •Watch What Happens Live: Two tickets to spend the evening with Bravo’s very own Andy Cohen. You’ll be part of the exclusive studio audience in the Bravo Clubhouse for the taping of the LIVE show from Soho in NYC. During the taping, enjoy cocktails with Andy Cohen. Win a curated selection of premium Italian wines from small, family-owned wineries, hand-selected by Wendy Fox of Good Earth Wines. Read the full list of wines with descriptions here. 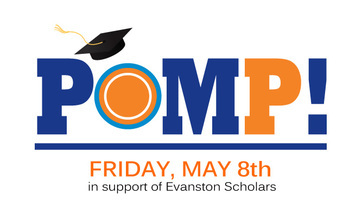 Proceeds from the event will provide college readiness programming and continuing support to help ambitious, first-generation and low-income Evanston students start AND finish college. Our network grows. Our Scholars are well supported. Our community benefits.